We provide a professional and personal wedding service which we believe is second to none, catering for all wedding types – Registry, Church, Civil Weddings & Civil Unions. We also respect and have experience in most Religious Cultures including Asian, Indian, Sheik, Jewish, Chineese to name a few! 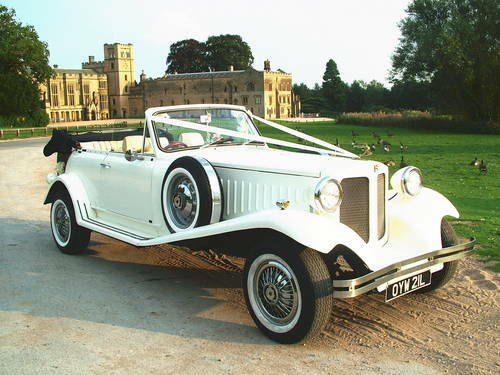 Our cars are all garaged and lovingly cared for, whilst our smart and courteous chauffeurs have the experience and knowledge to appreciate the importance of your day and help make this one of the happiest of your lives. We strongly recommend viewing the cars which can be accomodated weekends and late evenings if required. With a friendly no obligation approach we offer free planning advice and straight forward fixed price quotations. To compliment the convertibles we have a Ivory Limousine, together with two majestic Daimler Limousines. 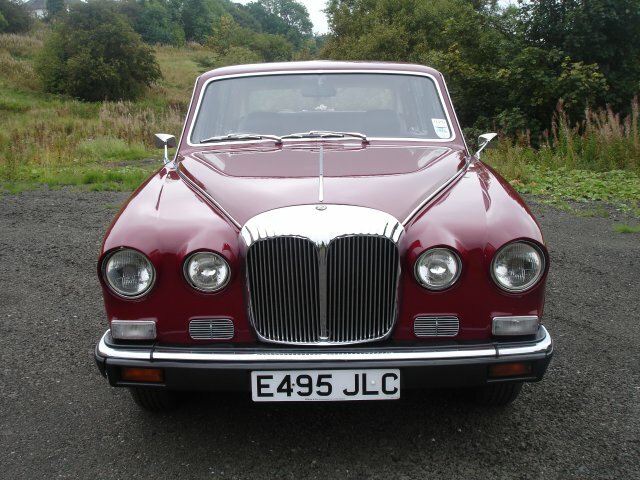 One in two tone Burgundy / Silver which goes well with either the Silver or Burgundy Beaufords, and one Ruby Daimler which looks stunning with the White Beauford or White Royale. 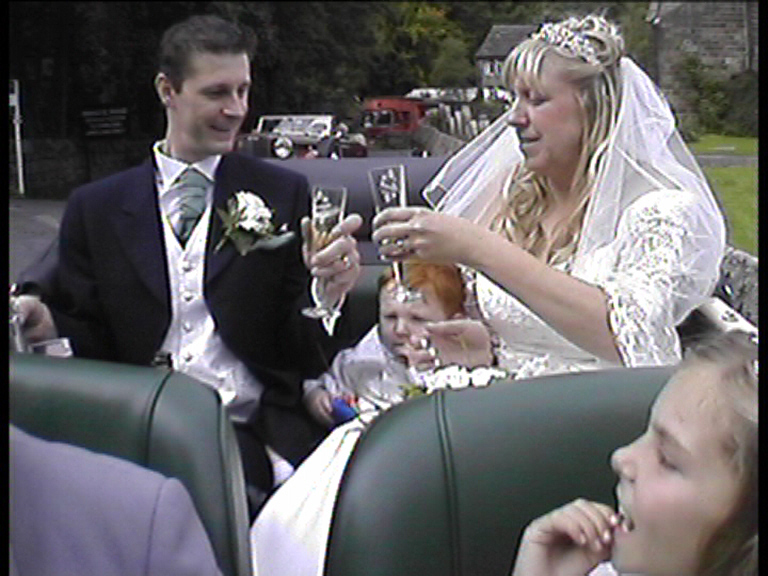 The Limousines seat 7 passengers making them ideal for the bridesmaids, grooms party or family. The car is provided for you with a smart uniformed chauffeur who will transport you from the house/hotel, to the church/venue, then on to the reception - allowing plenty of time for photographs in between. 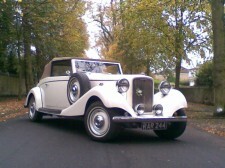 If required we would be happy to do a couple of trips to the wedding ceremony (within reason) e.g. the first trip may be to take the grooms party to the ceremony (Groom, Best Man, Ushers), then return for the Bridesmaids, then back for the Bride to be! With then just the one trip for the happy couple after the service to the reception. We charge just one price for the wedding, not per hour which can work out more expensive! The cars all have Ivory or White ribbons. If you wish to provide alternative colour bows/ribbons in a colour of your choice to compliment your dress/suit then we would be happy to fit them for you. However most couples prefer the neutral White/Ivory. confetti or charge for the cleaning! Viewing of the cars is strongly recommended to appreciate their beauty and elegance. A non refundable deposit of £100 is required upon booking with the balance due one month before your big day.